You are here: Home » Supplemental Security Income » How does attending school affect my SSI Disability status? How does attending school affect my SSI Disability status? Find out why your SSI Disability status is not affected by attending school and learn about special work provisions for SSI recipients who are students. When you are financially eligible and are approved for SSI, your approval depends on your medical condition and, if you are an adult, on your past work history. Accordingly, school attendance itself school will not affect your SSI Disability status. Regular school attendance is encouraged for individuals under age twenty-two with the Student Earned Income Exclusion (SEIE), which is discussed below. If your school attendance earns you a degree or diploma or a trade certificate, you will have the advantages that the new work qualifications (degree, diploma, or trade certificate) give you. Those new qualifications will be considered the next time your claim undergoes a continuing disability review (CDR) to see whether or not you are still disabled. If new occupations become suitable for you because of your new education and you can do those occupations with your physical and/or medical limitations, your benefits could end because you are no longer disabled. This should not scare you off from getting more education if your goal is to re-enter the workforce and have the broader life than being self-supporting can afford. SSI law includes several work incentives and earned income exclusions that are available to all disabled people getting SSI. These incentives are described in our article I Want to Work. Can You Tell Me How to Get SSI While Working? An SSI recipient under age twenty-two who is working and is regularly attending school qualifies for another incentive, the Student Earned Income Exclusion (SEIE). The SEIE is in addition to other earned income exclusions. In 2019, the maximum amount of earned income not counted under the SEIE is $7,550.00 a year with a maximum of $1,870 in any single month. The number of hours you must attend to be eligible for the SEIE depends on where you are attending school. Social Security defines regularly attending school as being in class in a college or university at least eight hours weekly or in class in grades seven through twelve for at least twelve hours weekly, or in a home-school situation that meets home-school law for at least twelve hours weekly. It also defines regularly attending as attending a training course that prepares for employment at least twelve hours weekly or fifteen hours weekly if the course involves shop practice. In some circumstances, a person may be attending for fewer hours and be eligible for the exclusion if the reasons for fewer hours are beyond the student’s control, such as being ill. A home-bound student may qualify if he or she is studying a course given by a school that offers grades seven through twelve, by a college, by a university, or by a government agency and a home visitor or tutor from the school directs the study or training. To avoid overpayments, report your earnings monthly and be sure to let the Social Security Administration know if you change hours of school attendance or schools. And, of course, report any substantial changes in your health that could affect your SSI Disability status. With some education, I think I could work full-time and end my SSI Disability eligibility. How can I get money for schooling? What is Supplemental Security Income Disability—also known as SSI—and how is it different from Social Security Disability Insurance, known as SSDI or SSD? 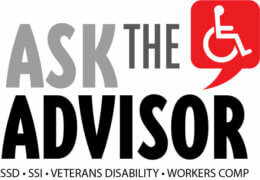 What requirements do I have to meet for SSI Disability eligibility? What medical conditions are required to meet SSI disability qualifications and to get an SSI approval?